Every year when Feria of Malaga is around the corner locals and visitors of this Costa Del Sol city have an opportunity to attend Carriages Contest which brings participants from entire Andalucia. 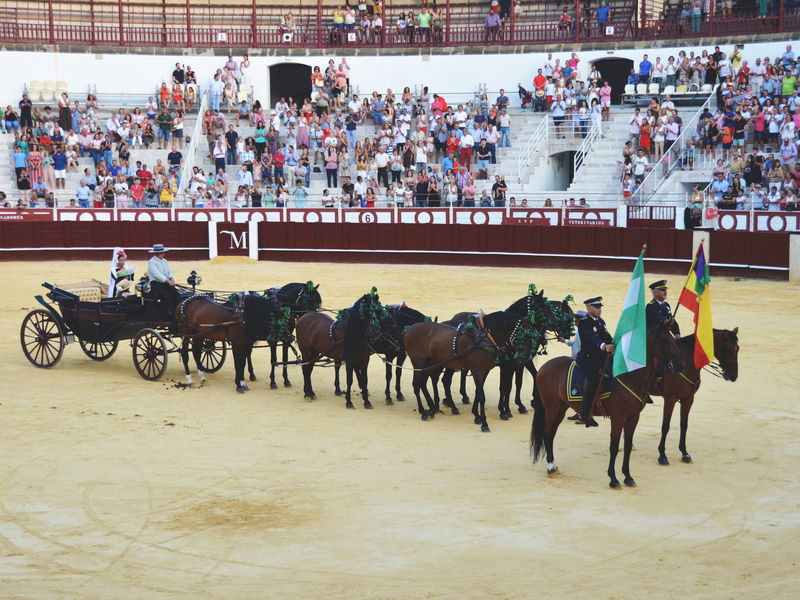 Carriages Contest is an annual competition – exhibition taking place in Malaga for more than 35 years before the main Malaga’s celebration called Feria, at the beginning of August at Plaza de Toros de Malaga. The event is organized by the Festival Area of the City council of Malaga, through the club called Club de Enganche Malacitano. The competition is divided into two phases. In phase A, the quality of the hitch is assessed, and in stage B the dressage and guiding style. Both are evaluated by a jury specialised in the matter. In 2018 for the first time, the best lace or silk scarf worn by women over the head and shoulders called Mantilla and best flamenco dress will be elected and awarded from the spectators. The annual competition of Enganches every year not only maintains its popularity but also grows bigger and bigger year by year. In 2018 40 carriages from different parts of Andalusia such as Malaga, Fuengirola, Mijas, Pizarra, Alhaurin de la Torre, Granada, Estepona, Córdoba, Sevilla y Jerez competed against each other. The carriages are of different Spanish models: Limonera, Trunk, Tandem, Tresillo, Cuarta, Media Potencia, 5 a la larga, 6 a la larga, mule carriages and carriages of ponies. Do you want to know the differences between each carriage? The best way to find out this is to attend the event and see it directly! So go ahead mark this celebration in your upcoming August calendar and enjoy this very unique cultural competition – exhibition.